The next step is to use LUT2 to look for the “000” state and to create a rising edge. The other states will be 0. After making the modification to the SmartIO the next step is to fix the schematic. 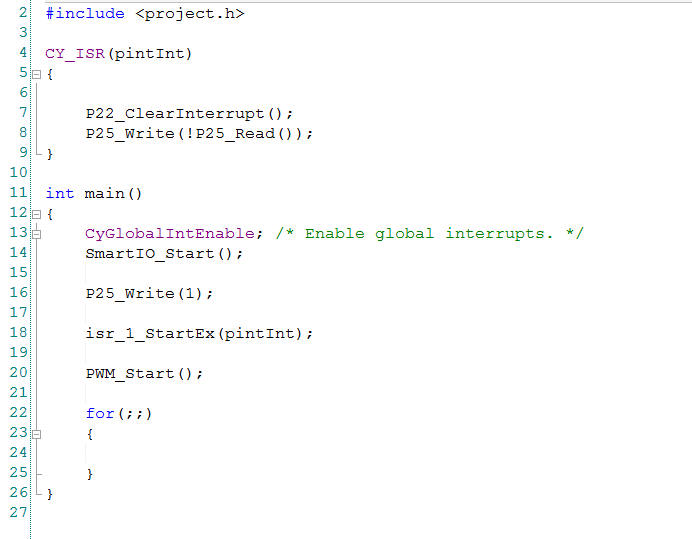 To do this I add a pin for P22, its configuration is on the next screen. In addition I move the P25 (aka the BlueLED on the master board) to pin by itself. 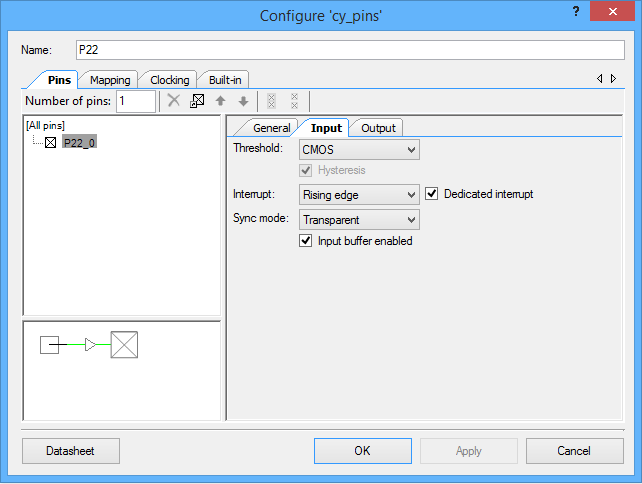 To configure the P22 pin. 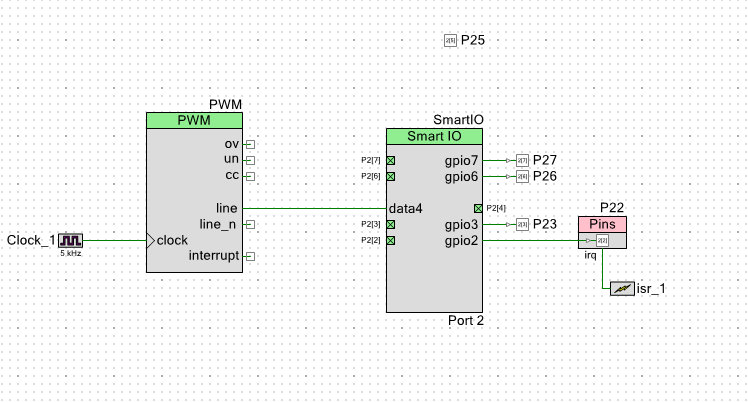 There is a trick that is required to make the pin be both an output, so that it can be connected to the SmartIO LUT as well as an Input, so that it can be connected to the Port 2 interrupt. 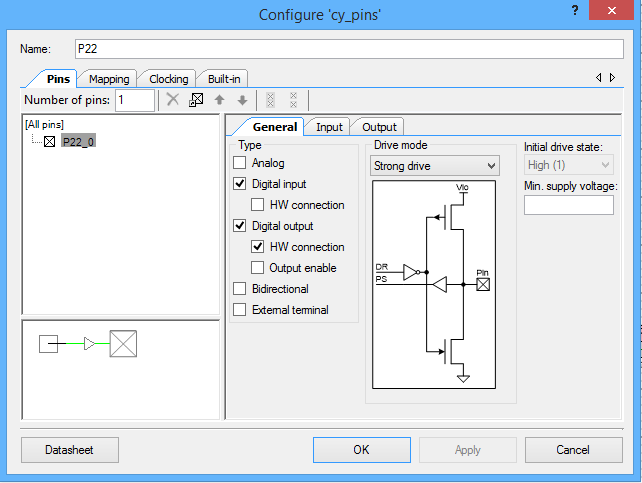 After setting up the pin to be both an Input and an Output you need to configure the pin to have an interrupt on the rising edge. Then I assign the pins. The last step is to make the firmware. When I run this, I see the Blue LED toggle each time it gets to state 000 (which is all three LEDs on as they are active low). 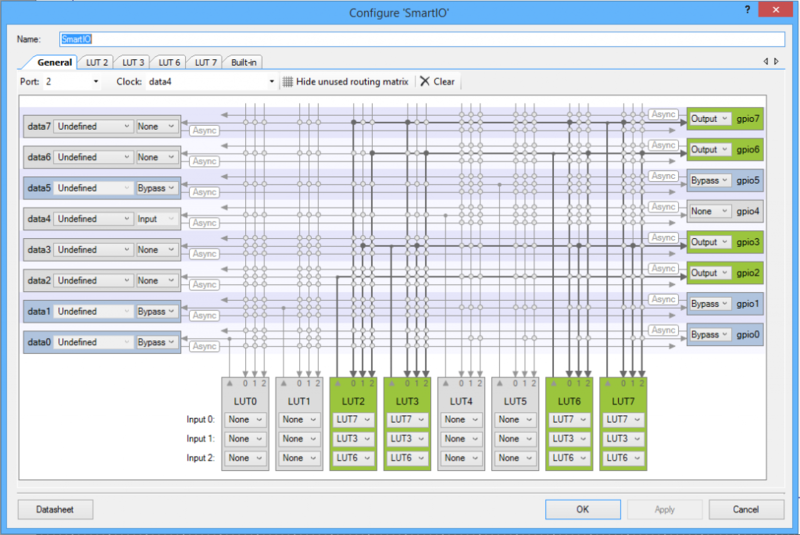 You can find this PSoC Creator workspace on github in the directory called “SmartIO”. 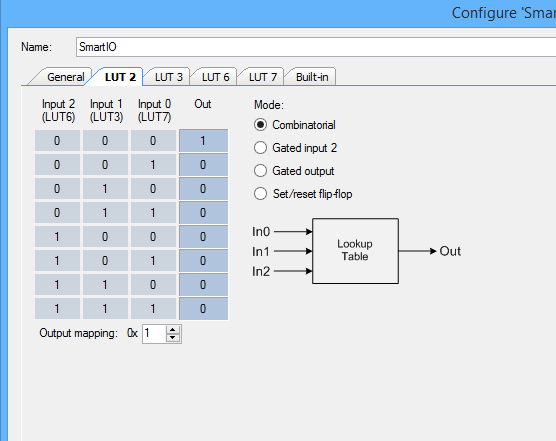 This project is called “SmartIOInterrupt”. Great posts Alan, can’t wait for the 145 board get available. Do you know if there will be some AppNotes on SmartIO topic? Thanks The boards should be soon. 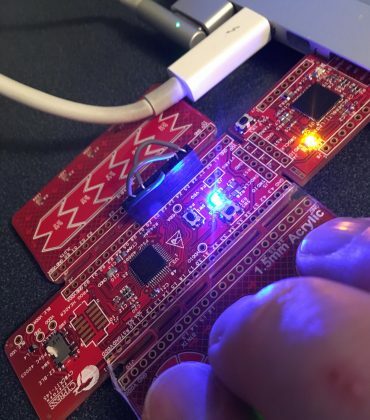 As far as the App Note goes, they know that they need to do it, but the whole team is absorbed with a new chip that is a blend of old Cypress and old Spansion… that is going to be spectacular.